A couple days ago, I was stuck at home recovering from a cold. Afternoon rolled around, and I was feeling slightly bored. So naturally. I made Bananas Foster. And for any banana-haters, I am sad for you. Truly. This blog includes fire. Read on. 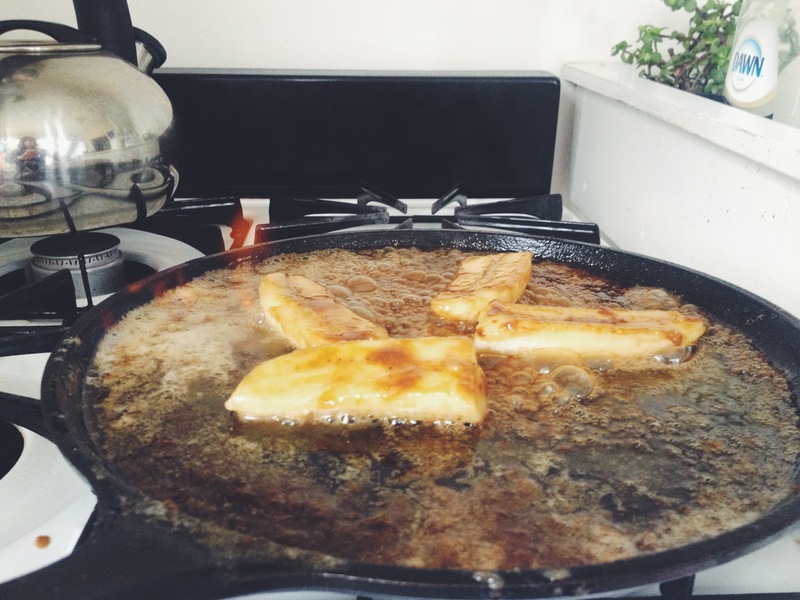 In your skillet, melt like a 1/2ish stick of butter. Throw a handful of brown sugar on it. Add some cream, like half & half or heavy cream. Sizzle it up!! 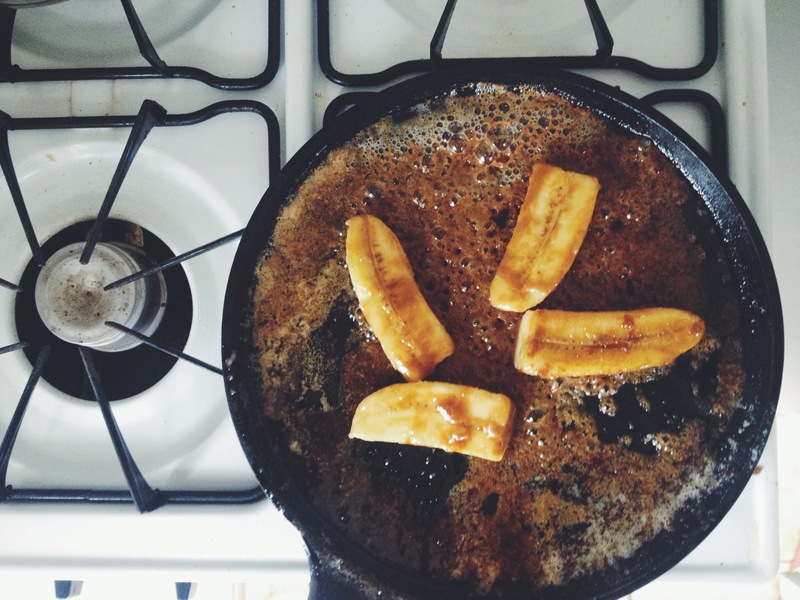 Slice bananas however which way you wish:) Let them brown a little on one side, and then flip. Get your matches ready. Hellooo, fire. 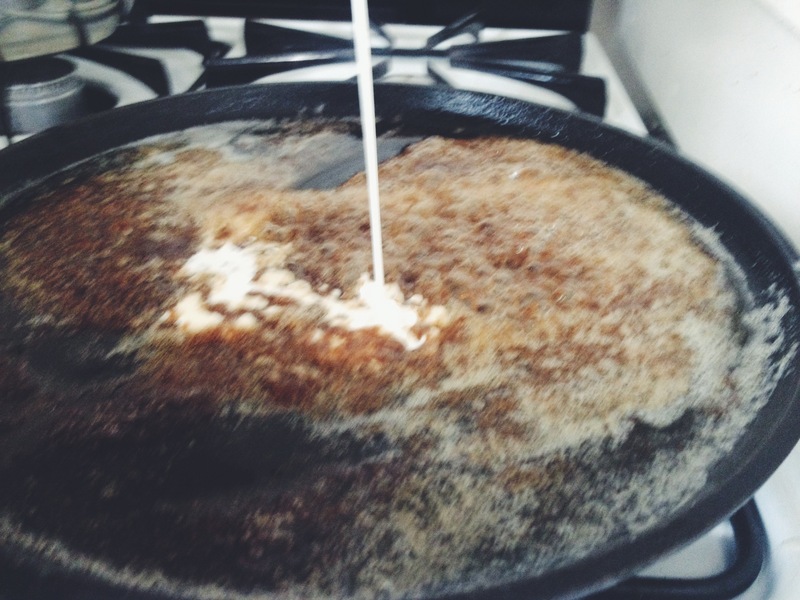 Pour about 1/4 cup RUM into your skillet… light a match to the surface of the rum, but watch out! I tried to get a picture of my flames. Slight fail. But just look really hard. Once the flame dies, it’s ready. Pour it on top of ice cream, sprinkle granola on top, OR do like I did… take a bite, take a photo, toss it in the fridge for BREAKFAST in the morning. (like over waffles or pancakes) Rum is totally acceptable in the morning. Bananas Foster, everyone. Because riddle me this…who doesn’t want to set a fancy dessert on fire in their kitchen?